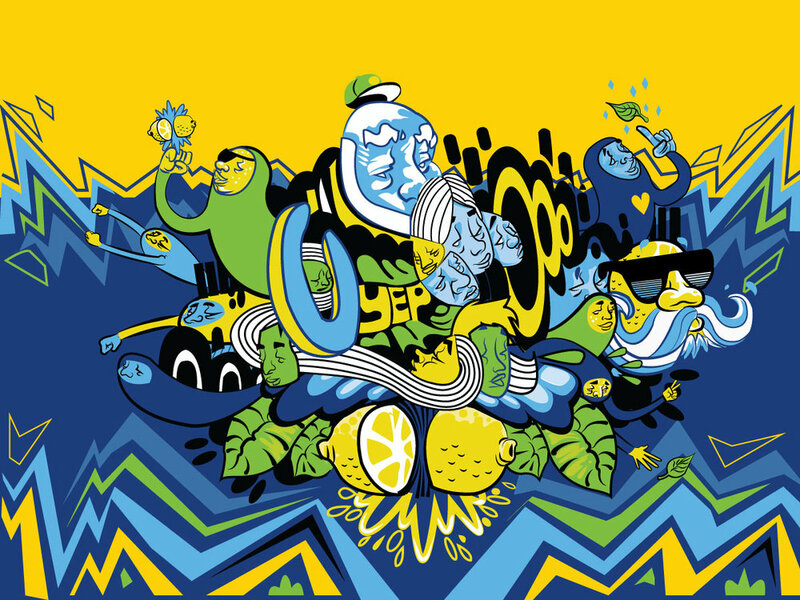 BRISK commissioned me as one of ten total artists to work on rebranding for 10 of their drink flavors. My artistic style was paired with their Lemon Iced Tea flavor. Initially, with my designs, I tried to mimic the artwork that was already in use, which you can see in my first two sketches where I tried to match the flow, color balance and layout. After a few reviews, I realized that I wasn't creating something that I really resounded with. On my third submission, I created something that was originally based on a family crest. I wanted to establish something that embodied the "That's BRISK BABY" feeling with my style effortlessly. In creating the background, I moved away from mimicking the flow & lines from the original and decided to create something that made the art seem more electric and explosive ( just like hearing the "That's BRISK BABY!!" in their commercials).